When are you planning to take PMP Exam? 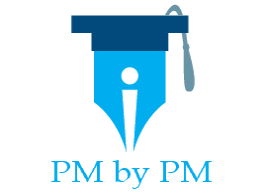 / When are you planning to take PMP Exam? 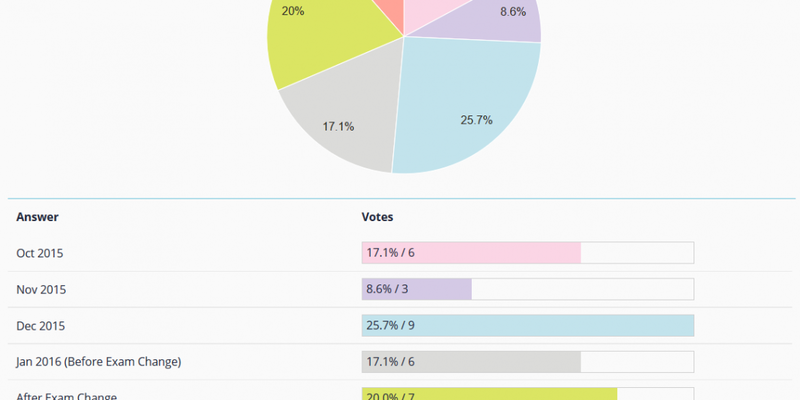 I conducted an online poll to determine “when are PMP aspirants planning to take PMP Exam?”. 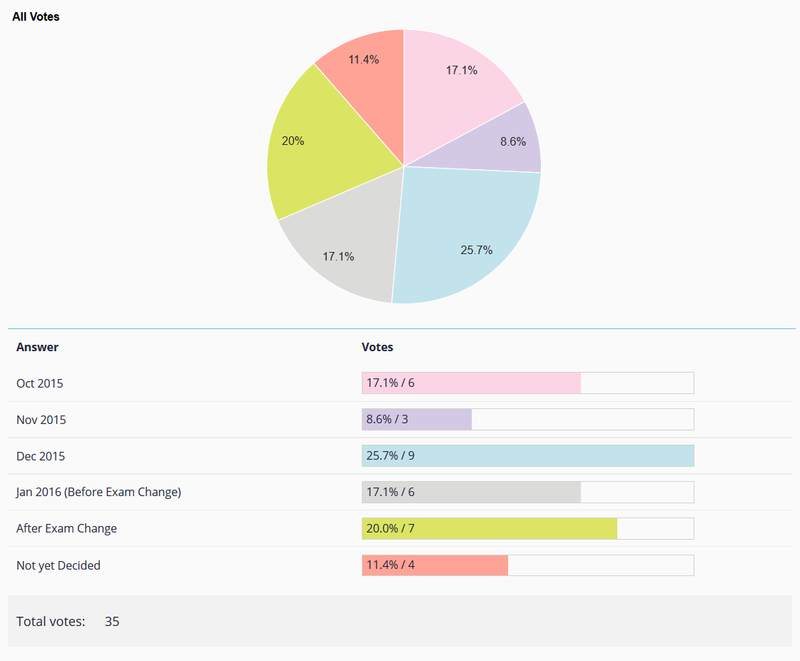 The result of the poll can be seen in above figure. There are some interesting facts and observations from the poll results. Let me share my opinion. 25.7% (17.1% + 8.6%) of people are planning to take PMP Exam in October 2015 & November 2015. The poll was conducted in early October 2015. 25.7% of people are planning to take PMP Exam in December 2015. 17.1% of people are planning to take PMP Exam in January 2016. There are only 11 days in January before PMP Exam changes. 20% of people are planning to take PMP Exam after Exam changes in January 2016. 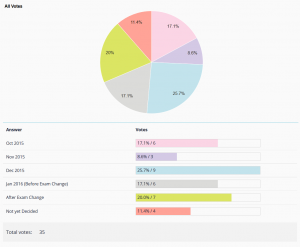 11.4% of people have not decided about when to take PMP Exam. You can pass the Exam within 4 weeks of training if you enroll into a good training program.